Emphasize Design’s visit to Inbound 2013 was nothing less than epic. We’ve re-landed in Calgary refreshed, reenergized and inspired, and are ready to keep making our mark in the inbound marketing world. It’s never been more clear to us that inbound is the way to go, and it makes sense to us for just about every aspect of life. It’s time to start making real connections with the world around us and pay attention to our coworkers, our families and ourselves. “Business” can still happen, but be better, because it becomes more about real things that affect real lives. Inbound simplifies the marketing process by providing clear steps that help both marketers and their clients figure out exactly where the value lies in what they offer, and how to get that across to potential customers. There are several pieces to the puzzle that is inbound marketing, and they work together in many ways, but once a campaign is launched and working you should see a remarkable difference in not only your sales, but how you understand your company and your clients. 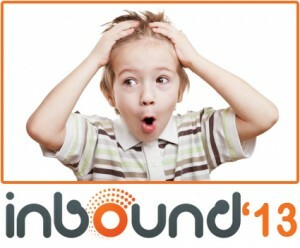 Inbound marketing is cost-effective. Traditional marketing methods (print ads, radio spots, television commercials, brochures, etc.) are very expensive, and there’s not really any way you can measure their success. Inbound marketing provides you with a complete, robust package that essentially is a 24-hour, functional online advertising machine that never gets tired. Inbound marketing is also measurable. We can extract hard data about how people are using your website and the success of your campaigns. Inbound is flexible and responsive, so tweaks are common. We let the client tell us what they want to know, and then we make sure to supply it. People are savvy buyers these days, and want to do their own research about products before they make a purchase. Just by providing transparent, coherent information about what you offer you place yourself as a “trusted authority” in your market, and through your honesty people will begin to rely on you. Ask yourself what common questions you receive, and then set about answering them in the content of your website. PreviousPrevious post:How Do I Optimize For Search Engines?NextNext post:Why is Social Media So Important To My Calgary Business?